HMS COPRA was a Royal Navy shore base for the maintenance of personnel records and the calculation of pay and allowances for RN personnel attached to Combined Operations. COPRA stands for Combined Operations Pay Records & Accounts. HMS Copra had been established in Largs for several years when bank clerk, Jean, volunteered for the WRNS and was posted to HMS Copra in the early months of 1945. In wartime, the military authorities had the power to requisition property in the national interest and the venue selected for HMS Copra was 'The Moorings' - a pre-war shopping and entertainment complex in the Ayrshire town of Largs. The building had a nautical look with railings around the roof line and a flag pole prominently positioned in the superstructure. The accommodation used by Copra, within the complex, comprised a tea room, a ballroom and a cafe. Around 300 Wrens and 300 Chief Petty Officers/Petty Officers were employed there. They worked in 15 sections, each comprising around 20 Wrens and 20 CPOs and POs under the general command of a Captain and a Commander. Each section was headed by a Lieutenant and was responsible for an alphabetical sequence of surnames. Jean's section was responsible for 'K to L' and her 'Opo' was called 'Knobby' Hall. 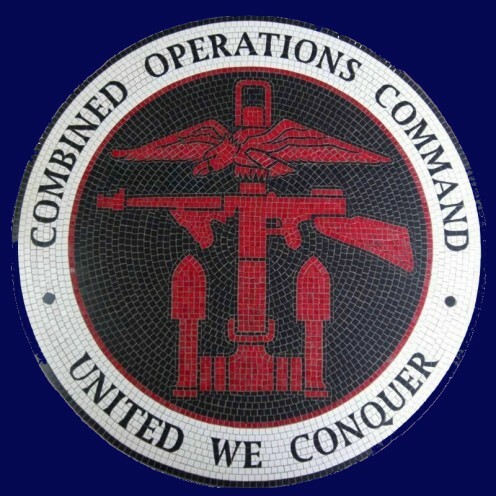 Each morning, confirmation of new postings to Combined Operations and changes to existing postings were received. Both of these changes to circumstances required pay entitlements to be assessed or re-assessed. In essence, pay, once calculated, remained the same unless and until changes affecting entitlement were received. Most common amongst these were changes in rank and postings. Wrens selected for these duties underwent a 3 week training course in Leeds. Those, like Jean, who were high achievers in the course examination, were given the rank of Leading Wren with a commensurate increase in pay. 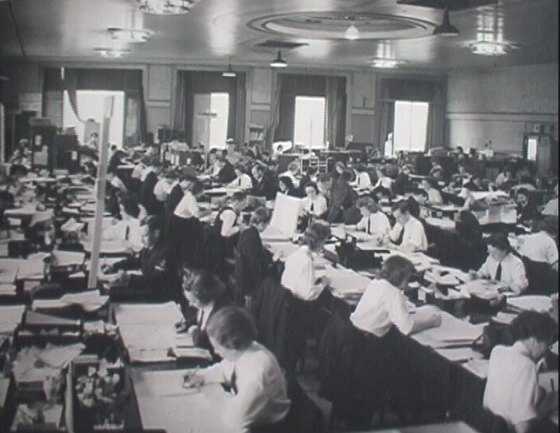 Jean recalled, "We were known as 'pay writers' doing a job similar to a modern day wages clerk. We calculated the pay due to the service personnel themselves while others were involved in calculating the 'allotments' due to dependent relatives and in authorising payments due. The going rate was 4 shillings and 9 pence, about 25p, plus 'grog' (rum) money per day. The most difficult of cases, which required further investigation, were handled by more senior ranks. Pay books did not pass through Copra as a general rule but, when they did, they were duly stamped to that effect. However, the location of the actual posting of the RN personnel was also noted in the book. The working conditions in The Moorings were pretty good. Our section sat about 20 or so each side of a long table with the 'Opo' at the head. The room was open plan, well lit, warm and the seating comfortable. We worked from 9 am to 5 pm Monday to Saturday and 9am to 12 noon on Sunday. One week in three we finished at 12 noon on the Saturday." 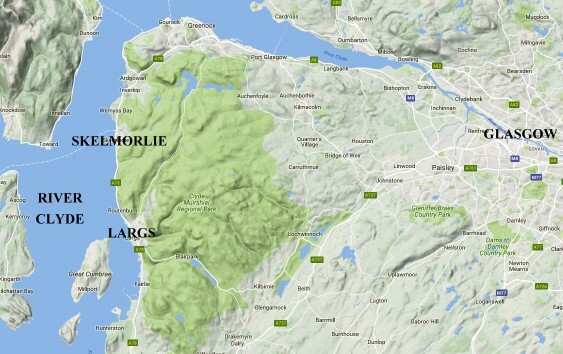 Wrens were billetted at the Skelmorlie Hydro Hotel about 6 miles north of Largs, probably two or three to a room. In addition, there were 3 Nissen huts in the grounds each accommodating 12 Wrens and a Chief Petty Officer. 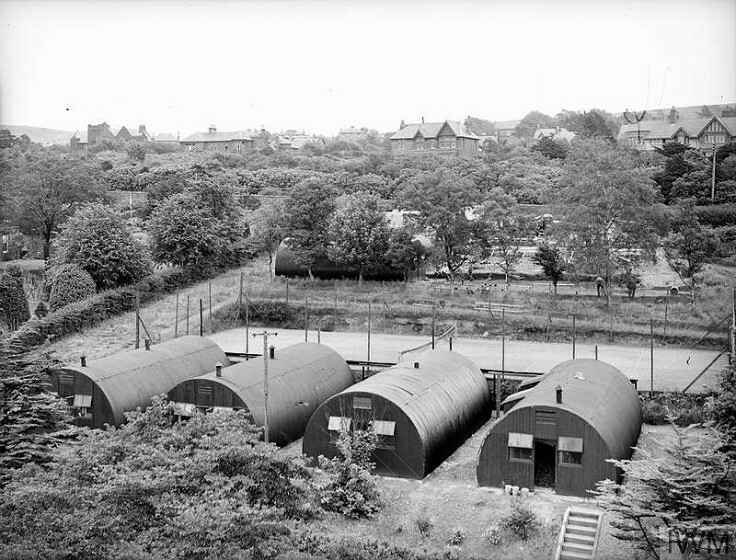 A fourth Nissen hut provided toilets and washing facilities. 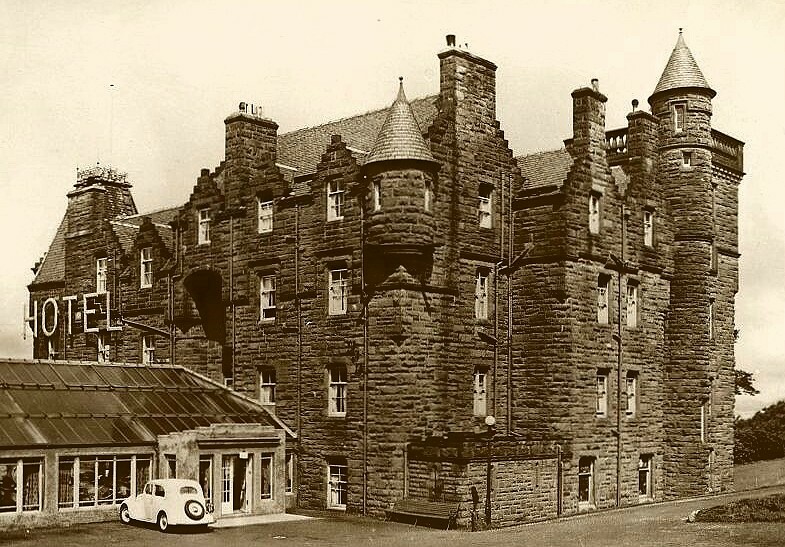 The best accommodation, in the hotel itself, was allocated on a first come first served bases. Jean, being a late appointment, stood no chance of moving into the main building. Transport to and from work was provided by RN buses and this included returning to the hotel for lunch. In the evenings, 'liberty buses' provided a service to Largs, where there were connecting service buses to other towns. 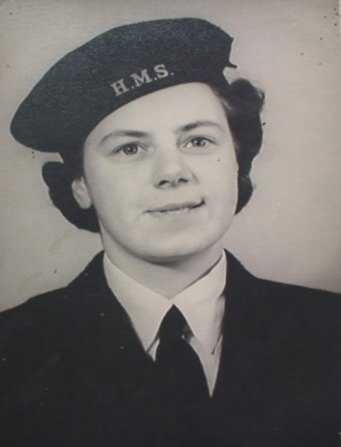 Jean continued to work at HMS Copra until her marriage in June of 1946 when, as was normal in those less enlightened times, her employment was terminated. HMS Copra continued to function for another 6 months or so but finally closed as the mass demobilisation came to an end. After the war, The Moorings resumed its pre-war role but today the site is occupied by a complex of luxury flats and shops. Lt Cdr B Warlow's book 'Shore Establishments of the Royal Navy' shows that parts of HMS Copra were located in Southend and London as well as Largs as follows; Commissioned 30/8/43 at Chelsea Court, London as Combined Operations pay and drafting office. Vacated on 3/8/44. Copra (drafting) to Southend by 11/43 and to Largs by 5/10/45. Copra (pay) at Largs by 3/8/44. Pensioned off 30/6/46. HMS Copra, was never anything other than a shore base. I have the names of many recorded lost from HMS Copra because, sadly, the names of the craft they were serving with at the time of their deaths, was not recorded. The use of HMS Copra on grave stones, in pay books and other service records confirms that the men concerned were in the Royal Navy and assigned to Combined Operations..... and that they served on and/or were lost from an unknown landing craft. I have the names of all the craft and ships assigned on D-Day and nowhere is HMS Copra recorded as a vessel. HMS Copra was a long forgotten RN shore base. Grateful thanks are due to Mrs Jean Clark (nee Mathie) of Maybole, Ayrshire for providing information and photographs and helping to preserve the memory of this important wartime naval base.